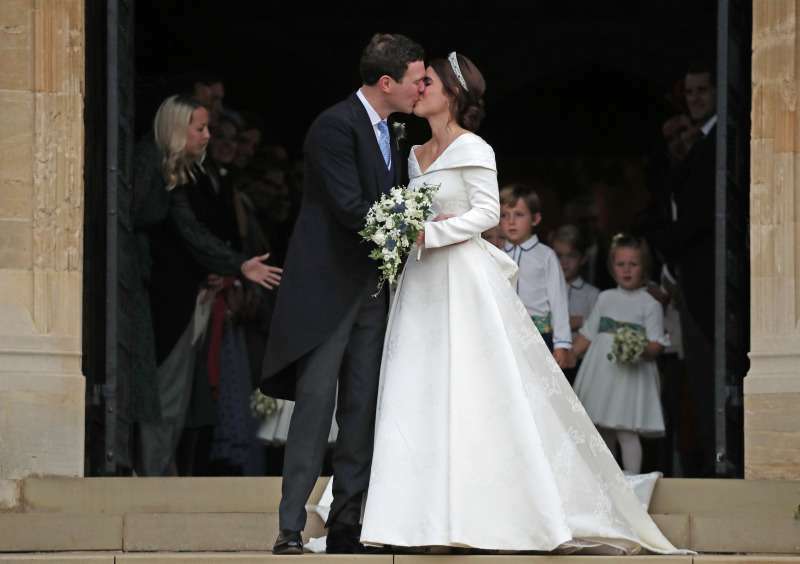 The Queen’s granddaughter, Princess Eugenie, has become a wife for the first time as she wedded her beloved Jack Brooksbank at a windswept Windsor. The ninth-in-line to the throne sealed the promise to be forever Jack’s with a sweet kiss in front of the crowds of royal watchers. 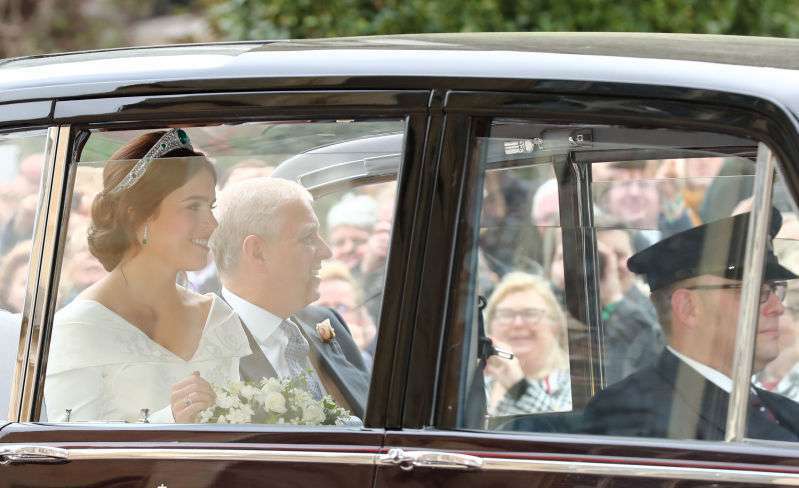 The bride arrived at the St. George’s chapel accompanied by her father, Prince Andrew, and oh my, she looked beautiful! Looking at her made us feel like she stepped out of a fairytale. Well, she is a real-life princess after all. The sweeping wedding gown is the creation of Peter Pilotto and Christopher De Vos of the British label Peter Pilotto. The brand is famous for its feminine silhouettes with the modern twist that are combined with the innovative textile design. The bride worked closely with the designers to create the breathtaking number we saw today. Eugenie paired it with the Greville Emerald Kokoshnik Tiara, which was kindly lent to her by the Queen. Did social media users like the dress? 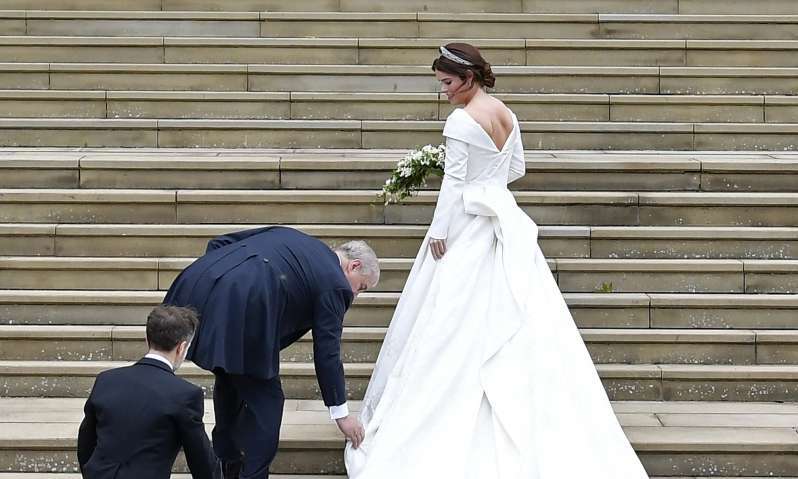 Stunning dress she looks so much better than Meghan did! Beautiful, beautiful bride...stunning dress, just gorgeous!! Oh... my heart... Oh, break my heart.